Rotherham United travel to the Den on Saturday to take on Millwall where Andy Madley from West Yorkshire will have the whistle. 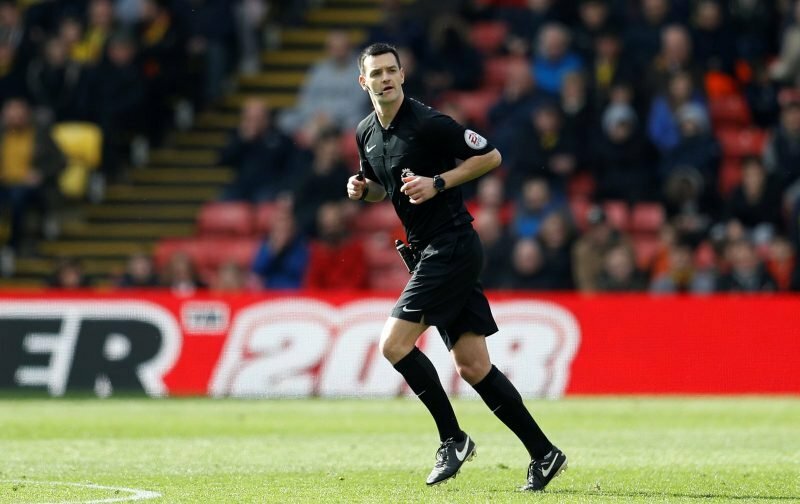 Andy began refereeing in 2002 at the tender age of eighteen after an injury playing for the Academy at Huddersfield put paid to his playing career. In 2010 he was appointed as the Assistant Referee in the League One Play-Off Final and he also ran the line in the Premier League. He became a Football League Referee in 2011 and has twice been in charge of games at Wembley – the FA Vase Final in 2015 and the League One Play-Off Final the same year. Andy’s only other time in the middle for a Millers game was in September 2016 when Bristol City were the visitors at the New York Stadium. Izzy Brown opened the scoring for the hosts on six minutes with an Aden Flint own goal giving the Millers a two-nil lead. But goals from Tammy Abrahams and Bobby Reid in the last finite minutes of the game sent City home with a point. That afternoon Andy booked Lee Camp and Danny Ward of the Millers. Andy has been in the middle for twenty-four games this season, his last one last night live on TV at The Hive Stadium when Barnet played Brentford in the FA Cup and has shown fifty-seven yellow cards and one red one. Running the line we have Steven Meredith and Dean Treleaven while Charles Breakspear from Surrey will be the Fourth Official.